Chelsea 3-1 Southampton: Two second half headers from Gary Cahill and John Terry and a late Demba Ba goal inspired Chelsea to a 3-1 win over a stubborn Southampton side at Stamford Bridge. Hull 3-1 Liverpool: Hull City have beaten Liverpool for the first time in their history, with a Martin Skrtel own goal capping off a torrid afternoon for the Red man who slumped to a 3-1 defeat at the KC Stadium. 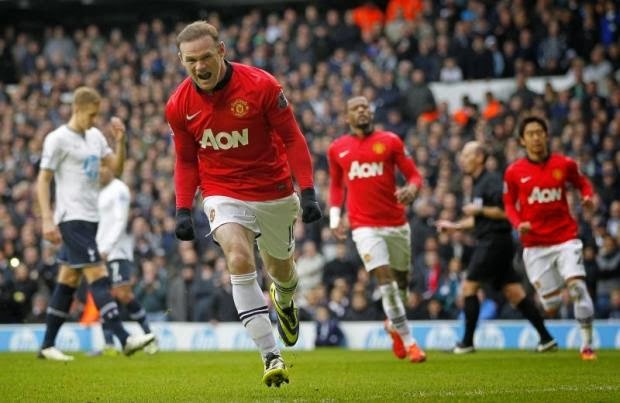 Tottenham 2-2 Man United: Wayne Rooney scored twice to rescue a point for Man United as the Premier League champions denied Tottenham victory at White Hart Lane. Newcastle 2-1 West Brom: Moussa Sissoko’s blockbuster strike helped Newcastle to a fourth consecutive victory and 2-1 win over West Brom at St James’ Park.